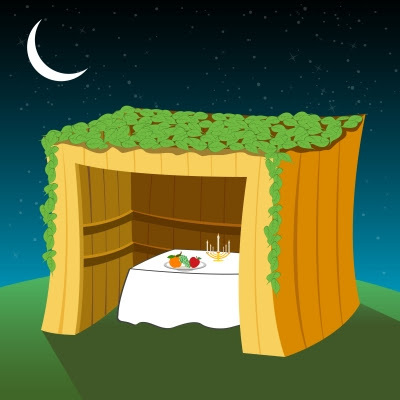 As you celebrate Sukes (Sukkot), the Festival of Booths, which began the evening of September 27, think about KlezCalifornia's next FESTIVAL OF YIDDISH CULTURE, November 7 - 8 at the JCC East Bay in Berkeley! We promise you a great time! NEW this year! CABARET & CABERNET, Saturday night, November 7. We are excited to present our first Cabaret & Cabernet featuring some of the Bay Area's greatest entertainers, with wine (for purchase) in a cabaret-like atmosphere! Sunday, enjoy the day with your choice of eighteen workshops (in three sessions) for singers, poets, dancers, instrumentalists, and anyone with a general interest in Yiddish culture. The Festival concludes with a fabulous klezmer performance and dance party, with music by Veretski Pass and the other music teachers, dancing led by Bruce Bierman, and refreshments! Presented by Lehrhaus Judaica. Co-presented by KlezCalifornia. No charge. NOTE: Philip Terman (pictured at lower left) was to be part of this program, but had to cancel his trip to the Bay Area. We apologize for any inconvenience. Sunday, October 25, 3:00pm. More info: 510.845.6420, Lehrhaus Judaica. Sunday, October 11, 4:00-7:00pm, Sharon Bernstein sings Yiddish melodies paired with the Broadway tunes they inspired. Includes hors d'oeuvres, home-cooked dinner, and desserts. Presented by Daniel Siegel Productions. Tickets: $45. More info and reservations: 510.684.5580. Monday, October 12, 7:30pm, Nigunim Chorus, led by Achi Ben Shalom, is starting its Fall season. Ten consecutive Mondays ending with a concert in December. The chorus sings folk songs in Hebrew, Yiddish, Ladino and English. More info: mail[at]nigunim.org.
. Portraits of Sholom Aleichem and Theodore Bikel are woven together in this documentary. Tickets: $12.38 seniors, students online with service fee / $14.45 general online with service fee. To purchase tickets: 800.838.3006, Brown Paper Tickets. , reports CBS News (thanks to Netta Avineri). Look for Bay Area residents Bruce Bierman and Gilberto Melendez dancing near the end of the video. , in The Forward (thanks to Rivka Greenberg). about Breuer (thanks to Achi Ben Shalom).
. These tracks were recorded through the efforts of Ben Stonehill in 1948 to document the songs of Holocaust survivors who were being temporarily housed at the Hotel Marseilles on New York's Upper West Side. KlezCalifornia mentioned in story, "Boyle Heights and City Terrace: Musical Bridge to East L.A,"
from Los Angeles' Jewish Journal (thanks to Bruce Bierman, also mentioned and pictured in the story). and at the KlezCalifornia Yiddish Culture Festival November 7-8. A resort that in its heyday garnered a reputation as the "Catskills of the West" was severely damaged in the Valley wildfire that recently devastated Northern California. Read more. , a new festival of Yiddish music, language and culture combining workshops, lectures and performances will take place December 24 - 29 in Manhattan's vibrant and historic Lower East Side/East Village. Discount registration fee until November 1.
. Tickets: $10-$15 sliding scale at the door. Saturday - Sunday, November 7 - 8, KlezCalifornia Yiddish Culture Festival! 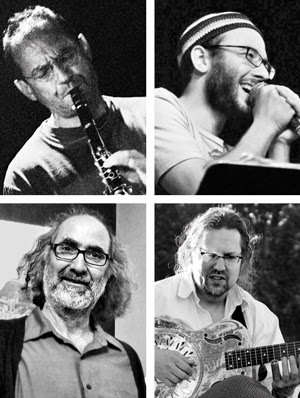 Sunday, November 22, KlezCalifornia Flisik Yidisheh Salon. For fluent Yiddish speakers. No charge. More info: 415.789.7679, email Flisik Salon.